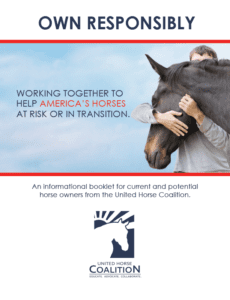 An informational booklet created by the UHC on Responsible Horse Ownership. A brochure that describes the Coalition, its activities, its goals, and the services it provides to members of the horse industry. 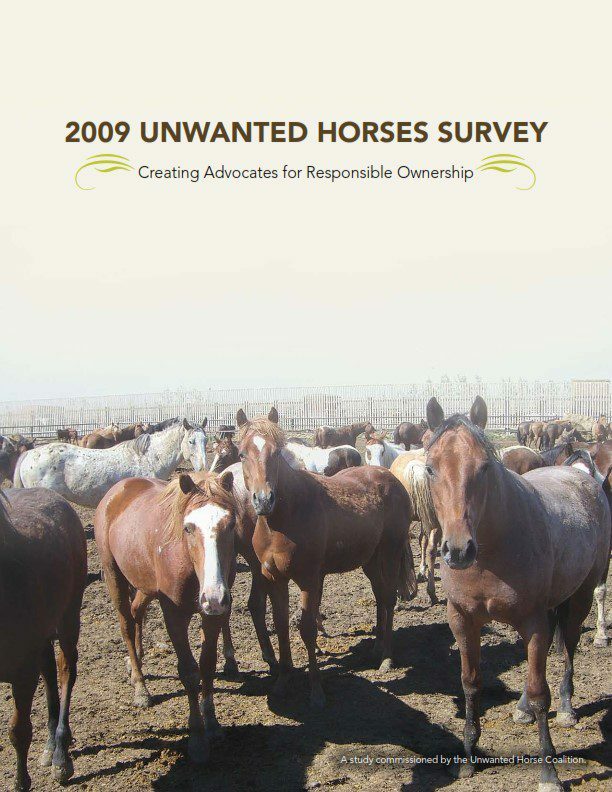 The results of a national survey taken by more than 27,000 horse owners, equine industry stakeholders, rescue and retirement facilities, and non-horse owners regarding the issue of unwanted horses, the causes, solutions, and implications. Best Practices: How your organization can help. 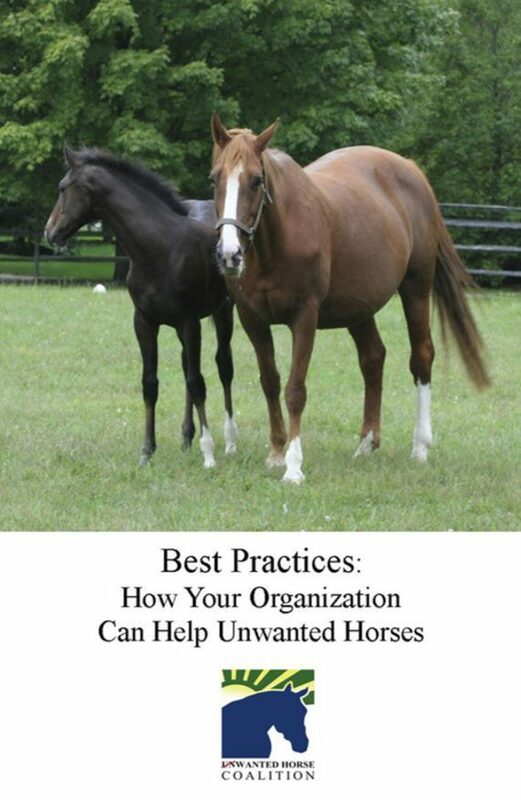 An informational booklet that lists various initiatives and activities you or your organization can undertake to help horses that are at risk, or in transition. Information regarding the benefits of becoming a member of the United Horse Coalition. The United Horse Coalition is a broad alliance of equine organizations that have joined together under the American Horse Council to educate the horse industry about the problem of horses At-Risk, or in transition. We seek to provide information for existing and prospective owners, breeders, sellers, and horse organizations regarding the long-term responsibilities of owning and caring for horses, as well as focusing on the opportunities available for these horses.